Some have described a bill making its way through the legislature as causing a stink, even going so far as to say it could make it easier for the operators of factory farms, like C&H Hog Farms in Newton County, to dispose of pig manure. But the sponsor of the bill, Senator Gary Stubblefield of Branch, tells KTLO, Classic Hits and The Boot news that is "absolutely not" the intention of SB 550. Senator Stubblefield says he is running the bill for the Farm Bureau to make the permitting process easier for farmers. 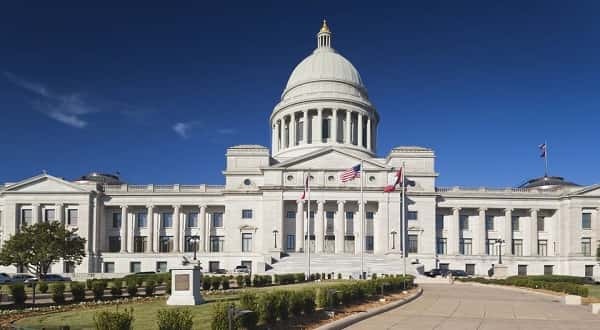 The bill would transfer permitting authority from the Arkansas Department of Environmental Quality to the Arkansas Natural Resources Commission. The bill received bi-partisan support last week when it passed out of the Senate 25-5, with two members not voting, including Senator Missy Irvin of Mountain View, and three voting present. Senators Scott Flippo of Bull Shoals and Breanne Davis of Russellville, representing North Central Arkansas, voted in support of the measure. On Thursday, Gov. Asa Hutchinson released a statement saying he has reservations about changing the current permitting process and specifically cited the work that has been done to protect the Buffalo National River. Also expressing concern about the transfer of permit granting authority was a group of former Arkansas Pollution Control and Ecology Commission members. In the group's letter to the House Agriculture, Forestry and Economic Development Committee the former commission members say eliminating ADEQ's program has the potential to result in heightened scrutiny and additional regulation by the United States Environmental Protection Agency. In response to the pushback, Senator Stubblefield says he amended his bill to include a provision that if the EPA ever finds a conflict with the federal clean air and water acts, SB 550 would become "null and void." He also noted the public comment period would remain the same as it is with ADEQ. While he is running the bill for the Farm Bureau, Senator Stubblefield, a dairy farm operator for more than 45 years, knows first hand why farmers are seeking relief from current governmental processes. He says during his years as a farmer he has sat on various government boards. During this time he witnessed the state go from about 3,000 dairy farms to its current level of 49. House action on SB550 is expected to begin this week in the agriculture, forestry and economic development committee. The committee is scheduled to meet Tuesday. Representatives Jack Fortner of Yellville and Marsh Davis of Cherokee Village are members of the committee. Click here to view SB550.